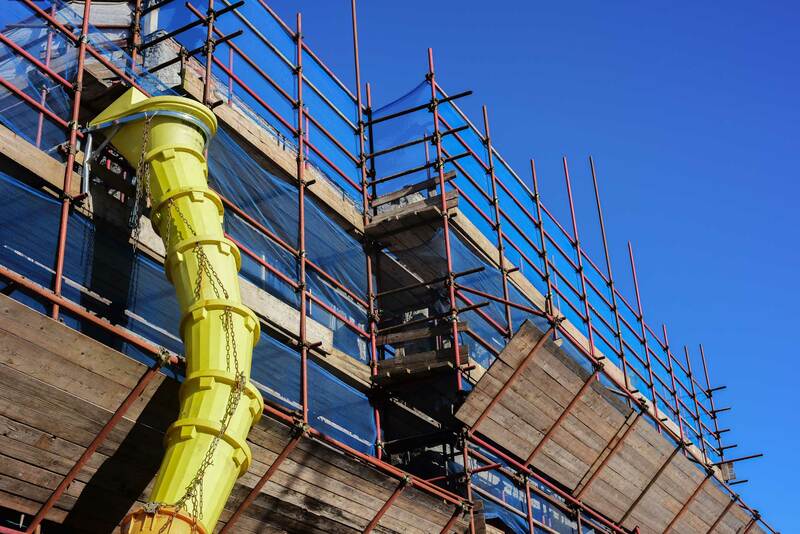 We offer professional scaffolding services across Birmingham, Bridgnorth, Bromsgrove, Dudley, Stourbridge, West Midlands, Worcester, Worcestershire, and surrounding areas. Our scaffolding ensures the safety of all projects, serving as a practical and efficient platform to house workmen and necessary materials. As an essential precaution, we’ll be able to offer you the peace of mind that comes with knowing your scaffolding is being handled by a professional and reliable company. Further to this, we can also apply our expertise in the industry to offer additional safety advice across the project. We know that it is important for you, your family, your contractors and the workmen to be safe when undertaking a new home improvement, which is why we always offer advice that is relevant and actionable to your project. As an experienced scaffolding company, we have been able to refine our process over the years to ensure we always work to the highest standards. Getting the right approach when it comes to planning is the ideal way to save you time and money. With health and safety as a priority, we ensure your family and our professionals are safe during the whole scaffolding construction process. This approach is continued across the whole process. To begin, we conduct a complete survey. This works to uncover any potential health and safety risks that could pose a hazard. Once the design and the quote have been agreed by you, we’ll construct the scaffolding. To achieve the best turnaround time, allowing you and your build team to work more promptly, we always strive to be as flexible as possible every step of the way. We know that you want to invest in peace of mind when it comes to your scaffolding. Once constructed, we’ll monitor our scaffolding to ensure it is a safe environment to work in. You can also make use of our call out service, which also offers a quick response. When it comes to the time that you no longer need the scaffolding, we dismantle with the same amount of professionalism as when we constructed it. We offer a comprehensive scaffolding service for residential, commercial and industrial requirements. As a professional and versatile company, we are able to cope with even the most demanding projects and offer competent scaffolders, a variety of scaffolding systems, and reliable management for your complete peace of mind. As the construction industry is a highly competitive sector, we are committed to maximising scaffolding quality while minimising assembly time. This means that you’ll be able to carry out work sooner and easier, without having to worry about any structural integrity problems that could put people at risk. With A. Scaffolding Company, you’ll get the best of both worlds. To find out more about our competitive scaffolding prices, you can get in touch with us by calling 01384 900 280 or by sending us an email on info@alphabh.co.uk. We’ll be more than happy to discuss your specifications with you, offering a tailored price to make things as cost-effective as possible across the board. Alternatively, you can get in touch with us via our online contact form below, a member of our team will be more than happy to offer you a quote based on your specifications. We look forward to hearing from you.